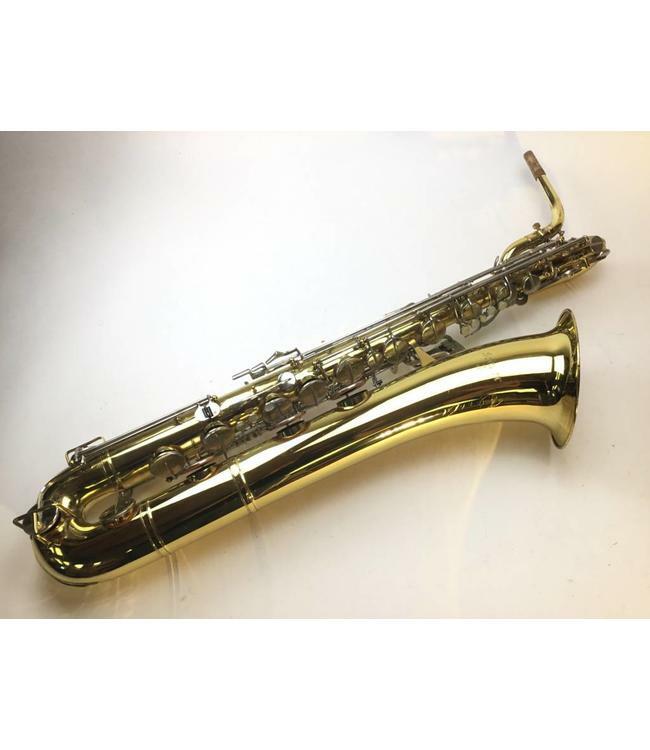 Selmer Signet baritone sax from late 1970s. Lacquer body with nickel keys. Pads and corks in good condition. Small dents beneath Eb key in bottom bow. Low A can be fingered using left thumb or the additional low A key operated by the left pinky. Very easy blowing horn capable of softest to the loudest dynamic markings from bottom to top. No case.